Further treasures unearthed in my mother’s home. 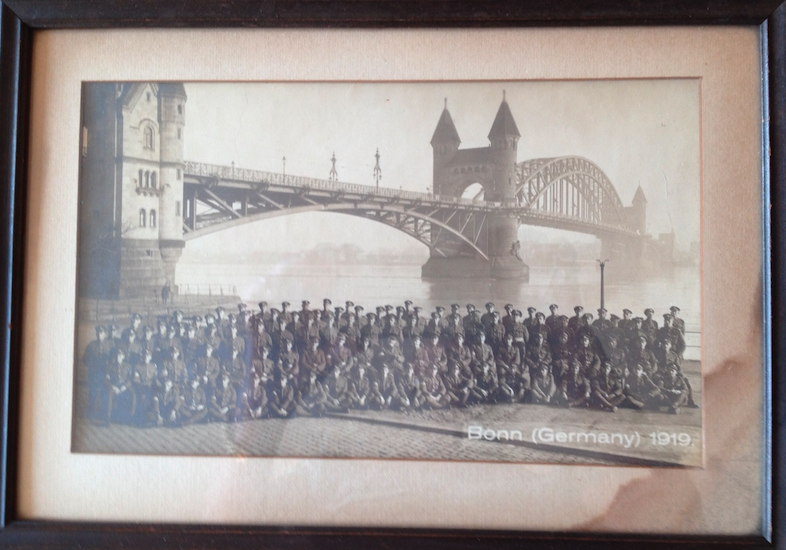 This is my grandfather’s regiment gathered for a commemorative photo of their time as part of the occupying force in Germany after World War One – notice the date and location, Bonn 1919. Somewhere in those rows of men with faces too small to decipher is my grandfather. 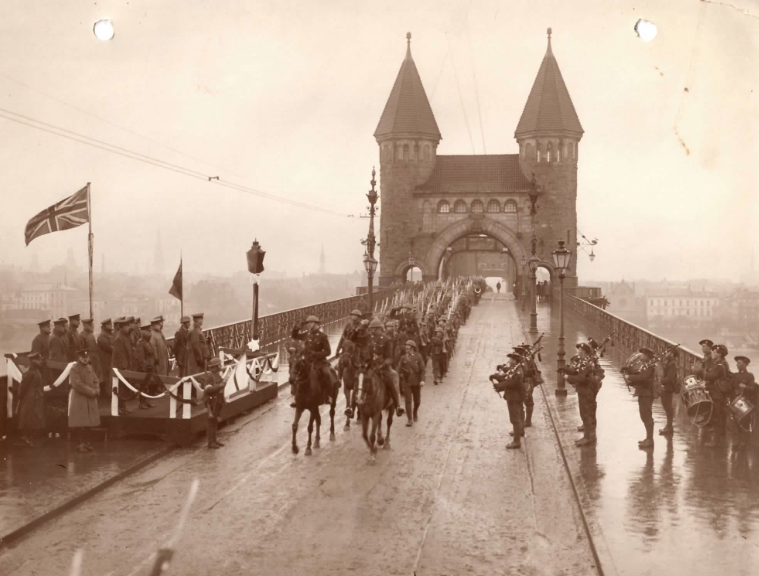 In his scrapbooks is a picture of Canadian troops entering Bonn in late November 1918 not long after the war ended (second photo). What a treasure, Mary. These old photos tell us so much about how thing were done and the mood. My challenge is to break away from thinking everything was black and white. Nice family memories! They really bring history alive. My grandmother told me, about her life in their small Polish village, during WWI. She was 12 years old, when the war began and remembered gas attacks in her village and Cossacks arriving. She never realized they were right in the front line of major fighting! Now that sounds like the beginning of a great story, Denise. My Grandmother only told me a little of her childhood, but her nephew, my cousin, and her sister, my great-aunt,told me lots of what happened to our family in WWII in Poland.